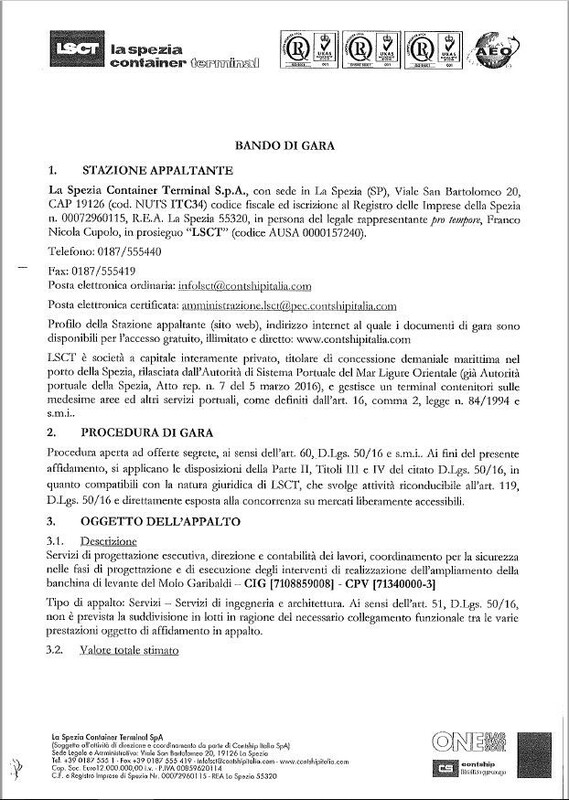 A new tender procedure is open for the extension of the Garibaldi dock in La Spezia Container Terminal. The procedure will close at midday on Wednesday August 2nd, therefore all bids must be delivered before this date. The tender provides the continuation of the development project that involves the Garibaldi area, including executive design, work supervision and bookkeeping and co-ordination of health and safety in both design and execution stages. The procedure has been opened to realize new aprons for the terminal’s day-to-day operations as a container and multipurpose terminal. 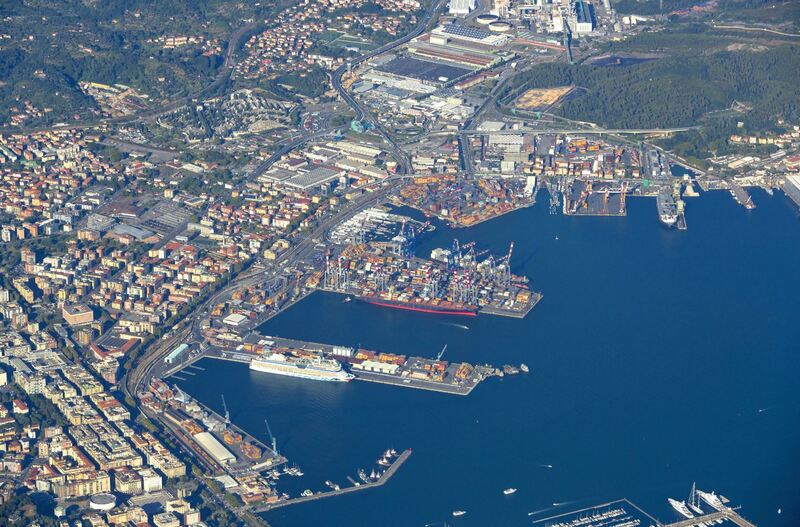 La Spezia Container Terminal is Contship’s gateway for the Thyrrenian Sea. It’s an international hub with a strong intermodal vocation, that offers first-class connectivity to exporters thanks to numerous deep-sea and intra-med service calls.The port also offers rapid access to northern markets to importers thanks to the intermodal services offered by Contship Group. 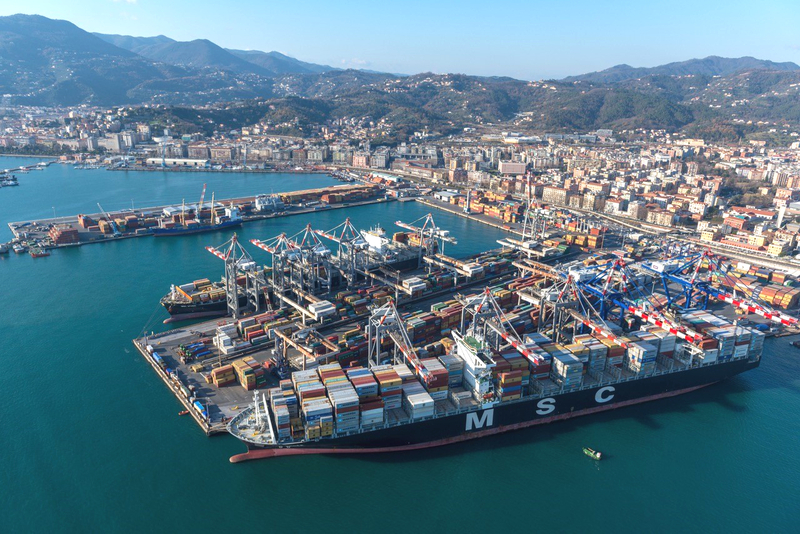 La Spezia Container Terminal (recently nominated “Best Container Terminal in Europe” at the AFLAS awards hosted by Asia Cargo News), is planning to further improve handling capacity from 1,4 to 2,5 mln TEUs. Major improvements are also planned for the rail connectivity, which will be pushed to handle 50% of the total throughput in order to better face the constant rapidity, efficiency and sustainability needs of the port’s customers.